The Snugpak Softie Elite 3 is a lightweight sleeping bag that is rated for temperatures 14F (-10C) or warmer. The Snugpak Elite sleeping bags are known for their Expandable Panel System (EPS) that allows the user to expand the width of your sleeping bag by 10 inches. If you get caught in a cold night you will be very thankful for this extra room when you bundle up. I’ve also found it useful on very hot nights to allow more air flow. Most backpacking sleeping bags can take up quite a bit or room and can also be quite heavy. If you are going a significant distance, you want as much room in your pack as you can manage and also don’t want to carry any extra weight around. Thankfully, this lightweight bag is only 3 pounds (49 ounces) and rolls up into a very small bag that is surprisingly small for an item that will keep you warm even in cold temperatures. The outer layer is made of a Paratex Micro material that is wind proof, breathable and also dries fast when wet. I used this on a trip through Washington in the Spring and had a number of nights that were cool and damp. During the day I laid the Softie Elite out and it was dry in no time. Another option with Snugpak sleeping bags is the ability to purchase a fleece liner. 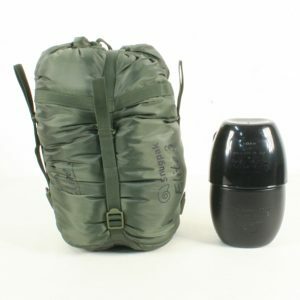 With the addition of this liner you can make this a 4 season bag that will get you through even the coldest nights. I bought it and it has really paid off. The Snugpak Softie Elite 3 comes with a perfect little compression bag that allows you to zip up the bag nice and small for storing in your backpack. 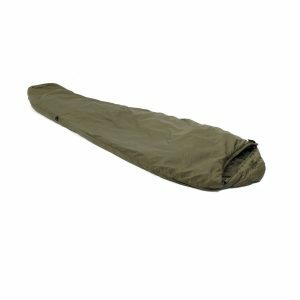 There is also plenty of room in the bag to store a bivvi, which I highly recommend using with this sleeping bag. On either side of your Softie Elite 3 are D rings that allow you to clip your bag to your bivvi. Don’t forget to do this or you may find yourself moving around too much inside your bivvi. It will also clip into the bottom to keep your legs inside of your bivvi. The inside of the bag is comprised of a reflective material called Reflectatherm. This material is designed to reflect heat and warmth back into the bag, allowing you to keep warmer longer. It is also breathable, which is nice on damp or very hot nights. I’m a pretty big guy (6’2”, 225 pounds) and have plenty of room inside of this sleeping bag. I’ve used this through all 4 seasons and have never been uncomfortable out in the elements. In the winter I added the fleece and I’m sure glad that I did as it was a very cold night. I was perfectly fine though. On cold hunts I’ve used this in my layout blind and was thankful that I brought it along. I love the Softie Elite 3 and am very pleased to add this item to my survival pack. It is light, small and does the job well. This is a bag I’m sure you will be happy with too. Click here to see availability and pricing information for the Snugpak Softie Elite 3 sleeping bag. Previous story Which is the Best Layout Blind for Duck Hunting in 2016?